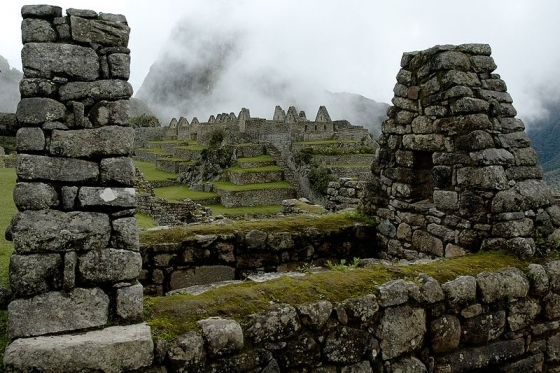 Machu Picchu, the ruins of an ancient, fortified, abandoned Inca town dramatically perched on a steep-sided ridge in the Andes about 2,400 metres above sea level, and 80 kilometres northwest of Cusco, of central Peru. 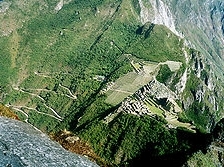 It contains a palace, a temple to the sun, and extensive cultivation terraces. 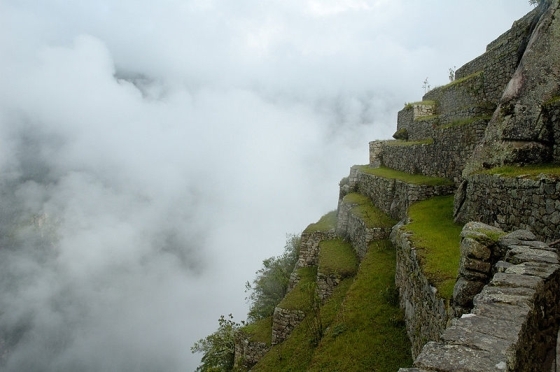 Never found by the Spanish conquistadors. American archaeologist Hiram Bingham discovered the ruins in 1911 and named after the nearby mountain. 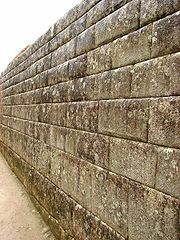 Nearly all the surviving Aztec, Toltec, Maya and Inca structures had a religious purpose. 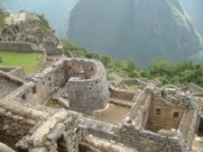 The most impressive of these structures were stone pyramids topped by small temples. The pyramids were part of ceremonial centres that also included altars, palaces, and plazas. 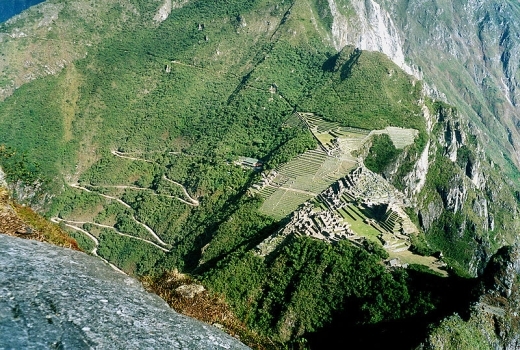 The Inca built large temples, fortresses, and public buildings on mountainsides. They constructed buildings with perfectly fitting, massive stones. 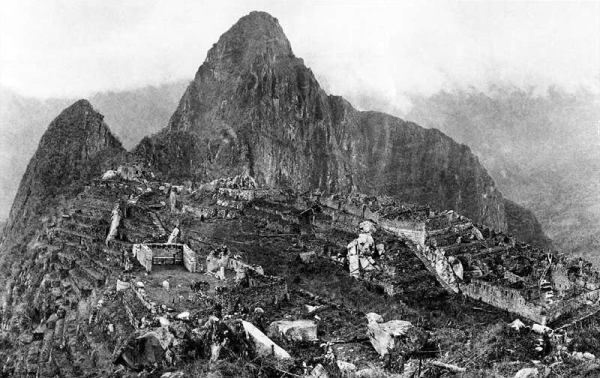 The ruins Machu Picchu is one of their best-known cities. We had some trouble seeing Machu Piccchu. We were booked to visit Machu Picchu and Lake Titicaca by train. 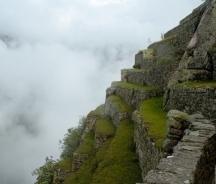 The night before our trip to Machu Pichu I had a very bad attack of "altitude sickness". We visited India, Bhutan, Nepal and Tibet a few years prior to this and I did not have any problems, even though Lhasa, Tibet was at more than twice the altitude of Cusco. During the night I often questioned, my survival until the morning arrived. I had a very bad headache, dizziness, trouble breathing and various pain and aches in many places in my body. Felt general nausea and sick. 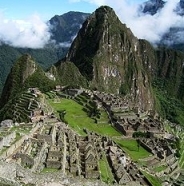 On doctor's advice we visited Machu Picchu the next day, as it is below Cusco's altitude. 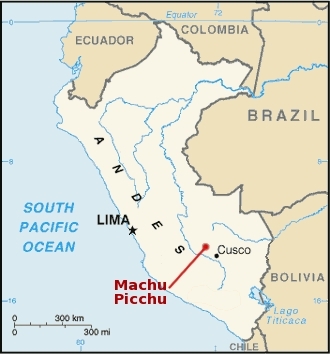 We had to trade in our Machu Picchu "Backpackers" tickets for a far more expensive "first class" ones, because the "Backpackers" were booked out for the next day, only available to us, because our scheduled departure. 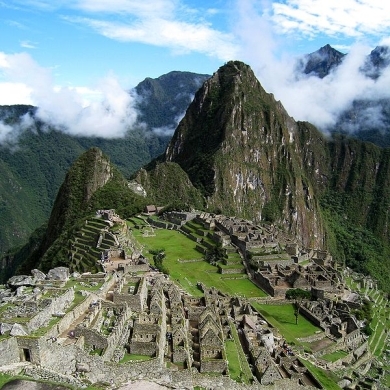 We have truly enjoyed our stay in Cusco, Machu Picchu, Puno and Lake Titicaca thoroughly.